Cutline WordPress SEO Theme version 3 was last tested on WordPress 3.1 and no issues found. Update June 2014, the free Cutline AdSense WordPress theme hasn’t been updated for around 6 years, have no plans to update it in the near future. If you are looking for a free AdSense WordPress theme use the Talian 5 AdSense theme, looking for a WP theme with AdSense, Chitika, Kontera, Infolinks and custom ads built in, plus awesome SEO features see the Stallion Responsive Premium theme (not free). Consider Cutline as an archived WP AdSense theme, will probably have issues with latest version of WordPress. A black and white 2 column WordPress theme with a large user base (over 55,000 downloads from the WordPress Theme viewer site!!) I had to convert this theme to AdSense/SEO. When I installed the original Cutline (version 2.1) I found some of the navigation links under the header didn’t work. Since I always add page links (about etc…) to the sidebar I removed this navigation bar completely (it would have just repeated what was in the sidebar anyway). I found another navigation type bar in the middle of single post pages that didn’t work well from an SEO perspective so removed it as well (had no impact on theme functionality). Removed the search form from the sidebar and added it to the header area, think it works better there and makes the sidebar less cluttered. Added language translation links to Google languages (7 language translations: French, German, Italian, Spanish, Russian, Chinese and Japanese) and support for various SEO WordPress plugins. The original Cutline author had offered code to show a random header image, I’ve Incorporated this into the AdSense/SEO version of Cutline and included some new header images. If you decide you only want a single image (one from the theme or one of your own) to show I’ve added an alternative header.php file to make this easy to do. Like all my AdSense/SEO WordPress themes I’ve added many new features not always found in the original theme, fixed any code problems I found and generally improved what was already a feature rich WordPress theme (the developers did excellent work with this theme). 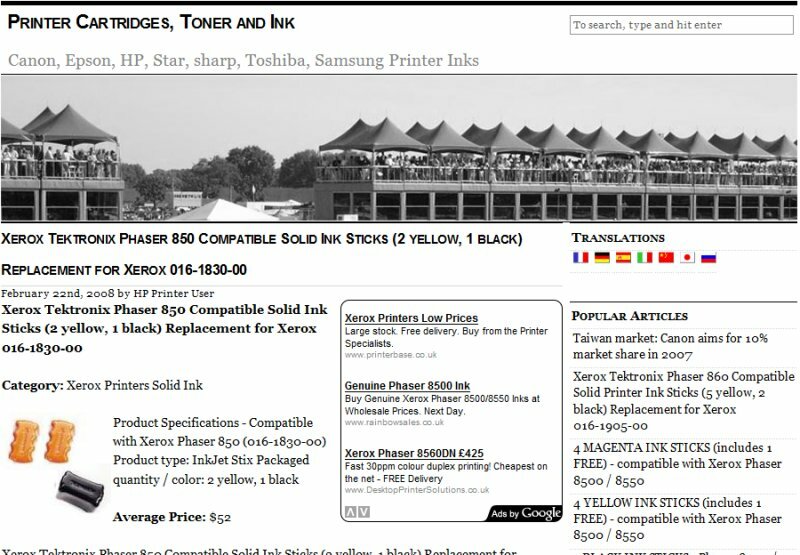 You can see the Google AdSense ad units in the screenshots below, a 250×250 ad unit that floats to the right at the top of the content of the first post ONLY: you don’t get this feature with other WordPress themes with AdSense and if you ever find one it’s probably because they have copied my innovative AdSense coding. 1. Unzip the Cutline zip file. 2. Edit the file adsense.php within the /cutline-adsense-seo-03/ folder to include your Google AdSense code (read the readme.txt file for more details, very easy to do). 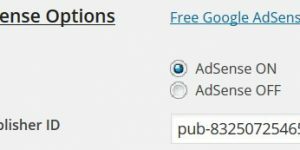 Note: Adding your unique Google AdSense publisher code (your pub-##### number) is the ONLY required change needed to the entire Cutline AdSense + SEO theme to make the theme ready to turn your WordPress blog into a Google AdSense residual income stream. 3. 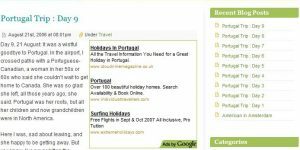 Upload the entire /cutline-adsense-seo-03/ folder to your WordPress themes directory (via FTP, just like any other WordPress theme you’ve tried). 4. Log into your blogs dashboard and under Presentation select the new “Cutline AdSense + SEO 03” WordPress theme and you are done. The Cutline AdSense + SEO theme out the box uses blended ad unit colours and large ad units for maximum CTR/AdSense revenue (like all WordPress AdSense themes on this site). If you wish to change unit colours and/or ad unit dimensions this can be achieved by editing just one file (adsense.php). 3 Google AdSense Ads Per Page? This looks gorgeous, I love Cutline and I want to start putting Adsense on blogs. One question before I order – is there any difficulty ensuring that you stay inside Google’s rules and only show a maximum of 3 ads per page? Oops just thought of a second question – this may sound silly but have you found that you actually do get more income with 3 ads than 2 ?